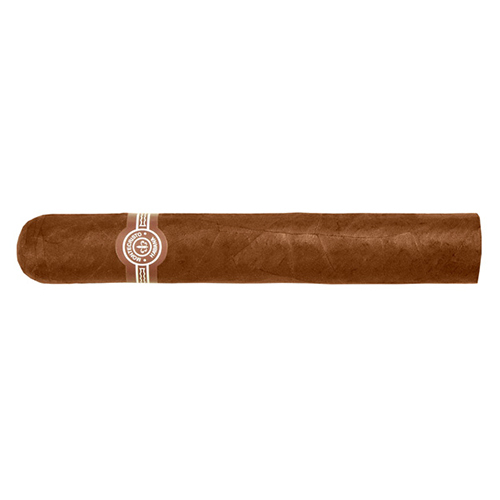 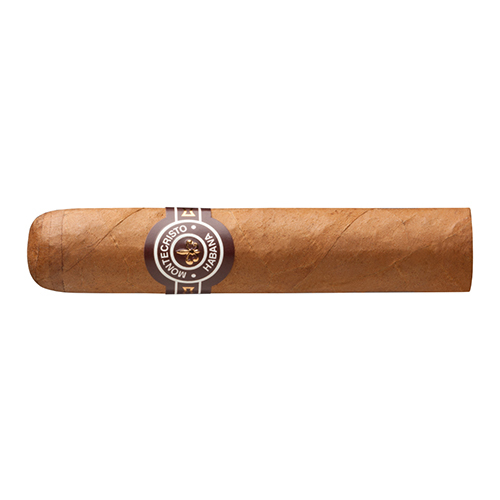 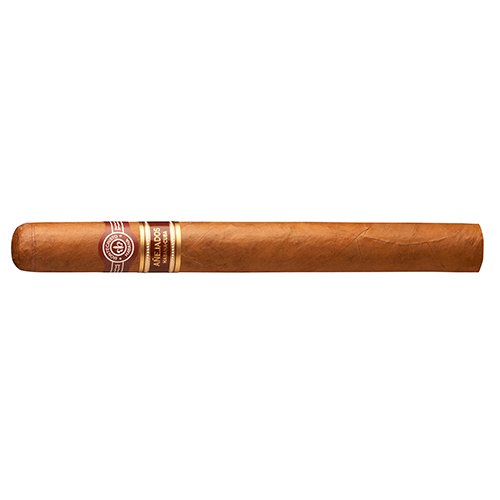 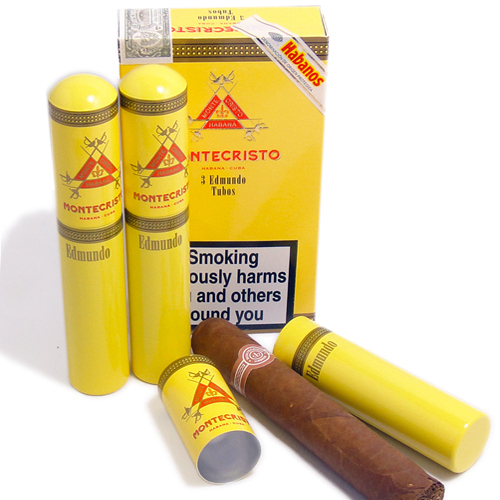 Probably the most appreciated brand of Habanos throughout the world, Montecristo forms a benchmark against which other brands are judged. 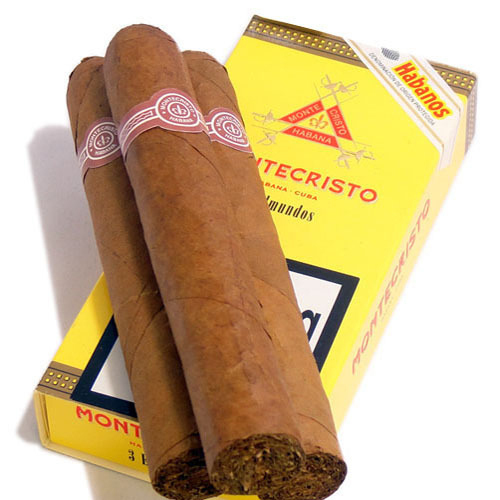 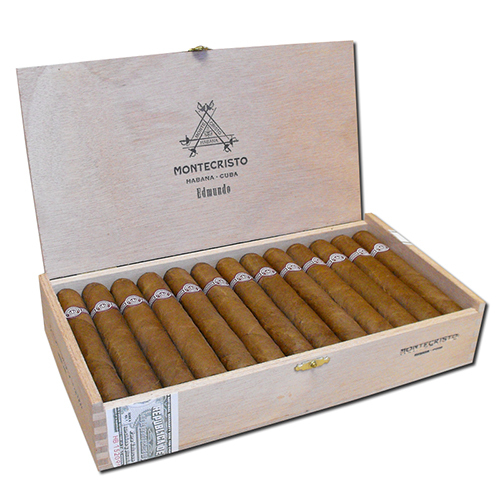 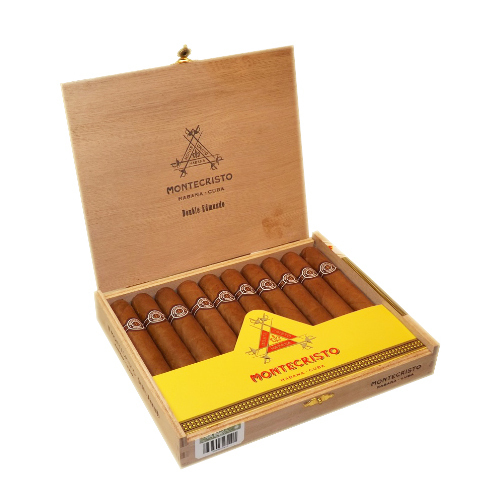 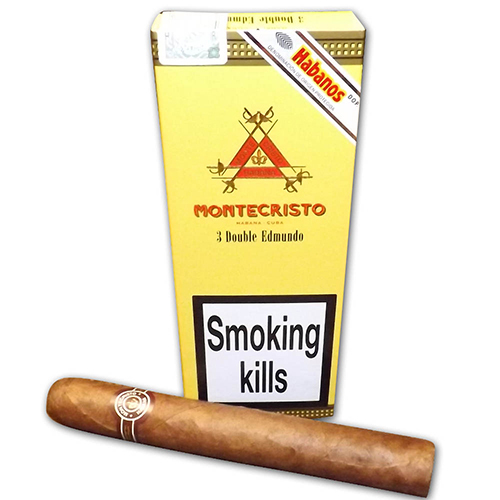 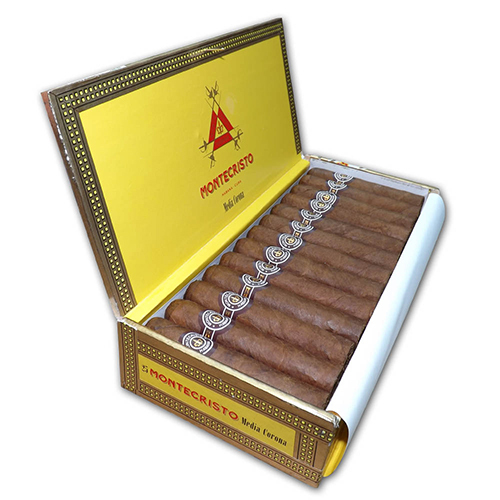 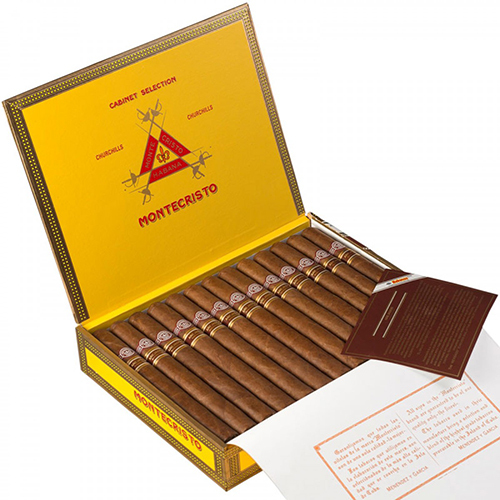 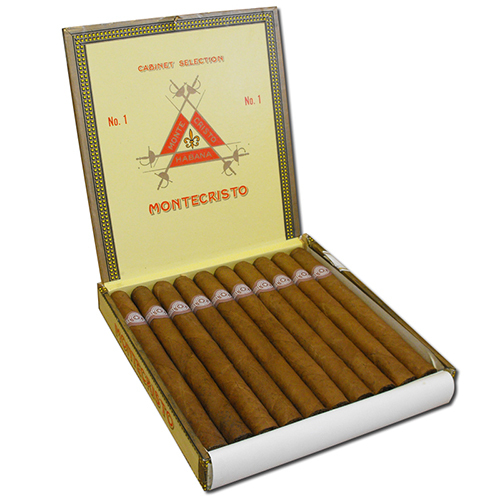 The Montecristo brand was created in 1935 by Menéndez, García y Cía, then the owners of the popular H. Upmann brand of cigars. 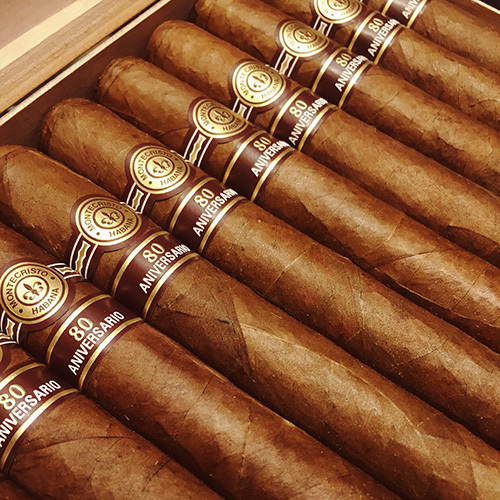 Having just purchased the H. Upmann marque from J. Frankau & Co., Menéndez and García decided to produce their own subset of the regular H. Upmann line, called the H. Upmann Montecristo Selection. 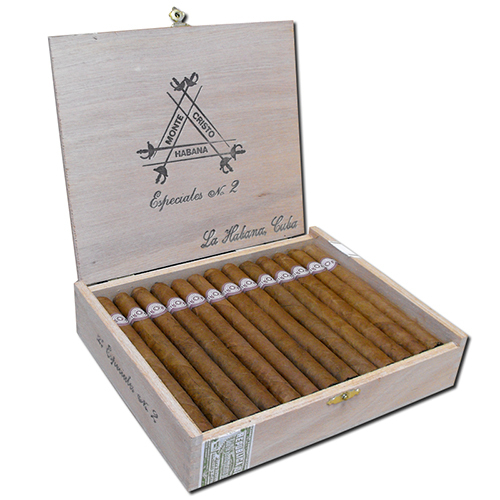 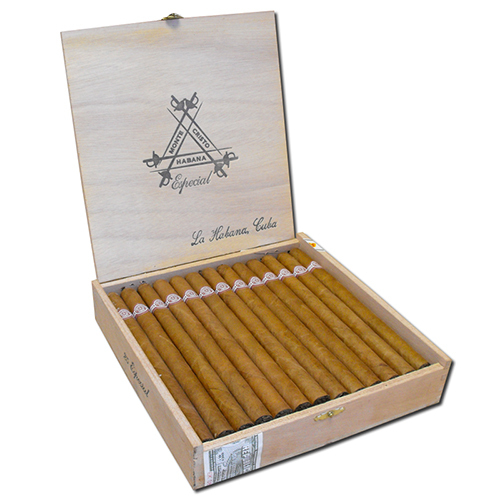 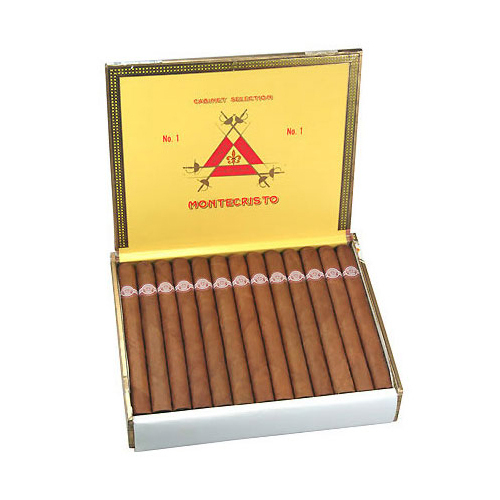 The name for the brand was inspired by the Alexandre Dumas, père novel The Count of Monte Cristo, which was supposedly a very popular choice among the torcedores (cigar rollers) in their factory to have read by the lector on the rolling floor. 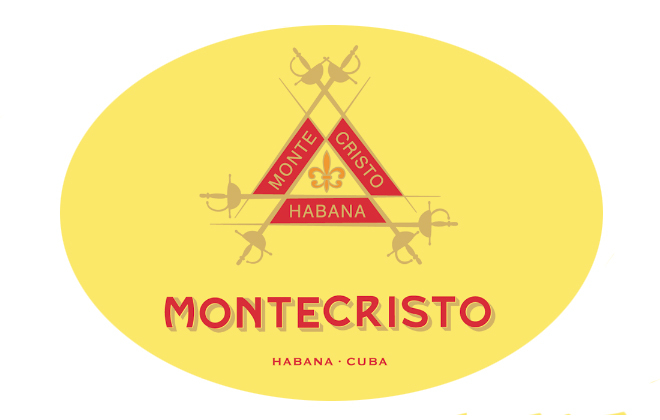 On the insistence of the John Hunter firm of Great Britain (which would later merge with J. Frankau & Co. to form Hunter & Frankau, Britain’s sole importer of Cuban cigars to this day), the name was shortened to simply Montecristo and a new logo was designed for it: the yellow and red “crossed swords” logo the brand still bears today. 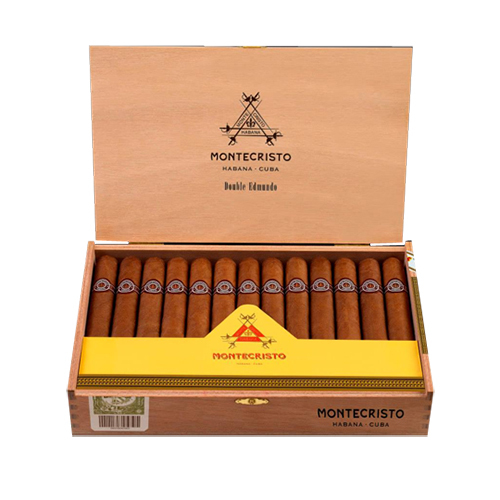 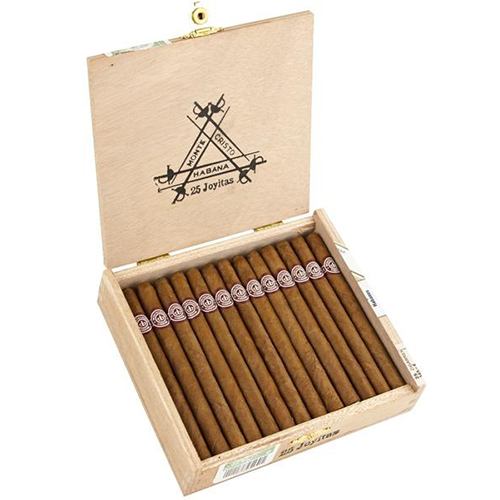 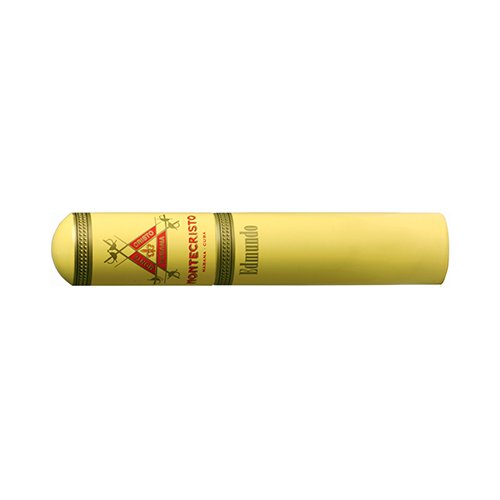 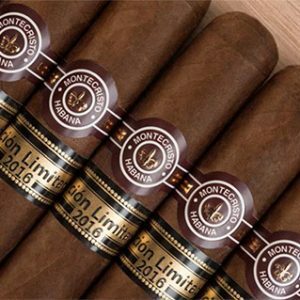 Through the efforts of Alfred Dunhill (the company), the Montecristo brand became incredibly popular worldwide and to this day accounts for roughly 50% of Habanos SA’s worldwide cigar sales, making it the most popular Cuban cigar in the world.